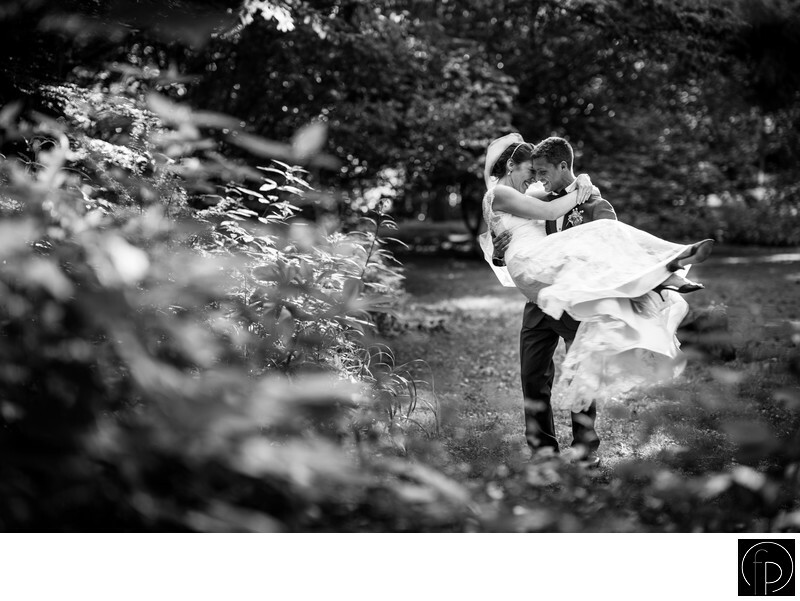 Sharing a sweet, loving moment together, this groom carries his new bride through one of the many meadows at The Old Mill, located in Media, Pa. Besides quaint open spaces, and flowing streams, the Old Mill offers two outdoor patios as well as a large reception area for wedding in Delaware County. Location: 9 Old Mill Ln Media PA 19063.